We are new and have decided to do things a little bit differently. Stray from the norm a bit. Our pricing structure is rather… unique. You see, rather than using some secret magical formula to come up with a number, we have kept it simple. Simple. 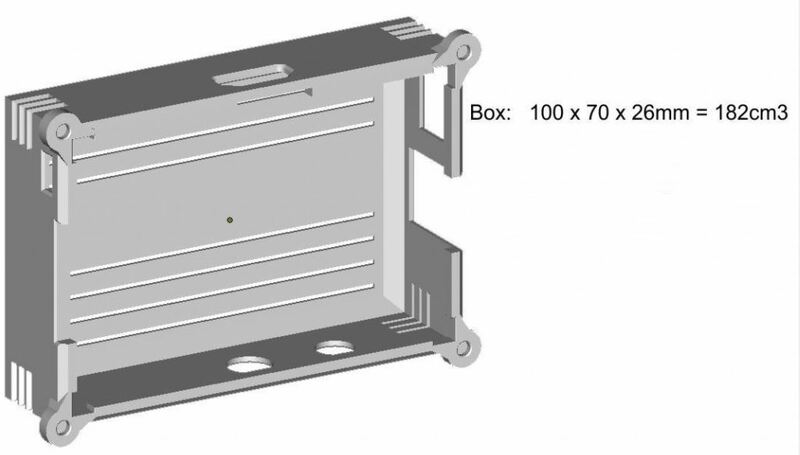 We charge by the bounding box. Well cm3 to be exact. 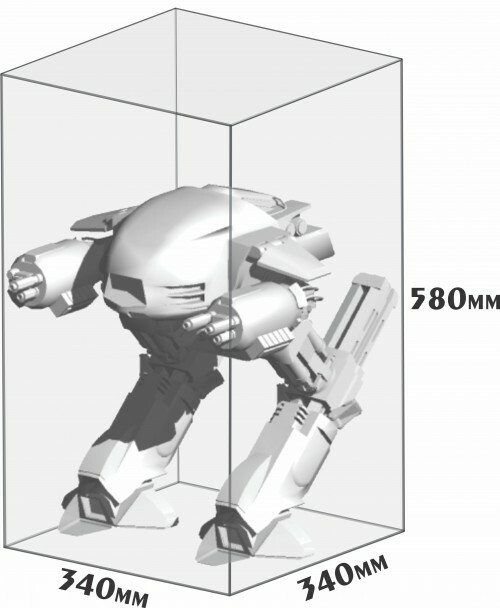 How big a box does your model take up? That is how much we charge you. We just take the x,y,z measurements to work out the cost of your model. What about all the empty space I hear you cry? Let’s look at this prime example: We’re making a case and it’s mostly empty space. To save yourself a pile of hard earned cash, fill that empty void with other parts you’ve designed. 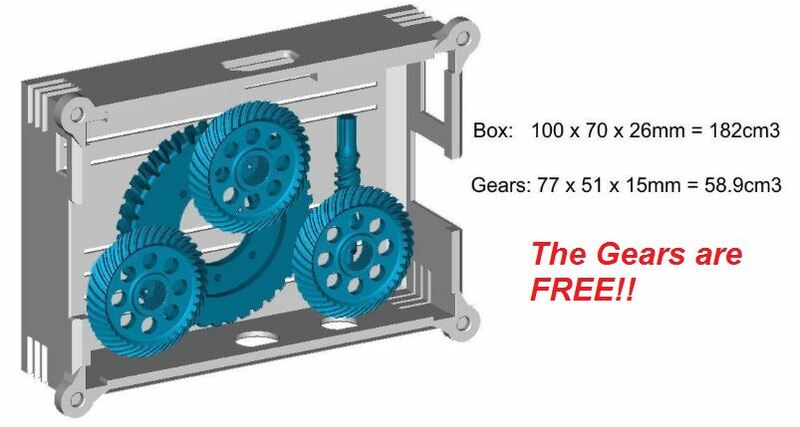 You never know when you’ll need a couple of extra gears and best of all the gears are printed for free! Our case will cost us $49.14. How did we get that price? 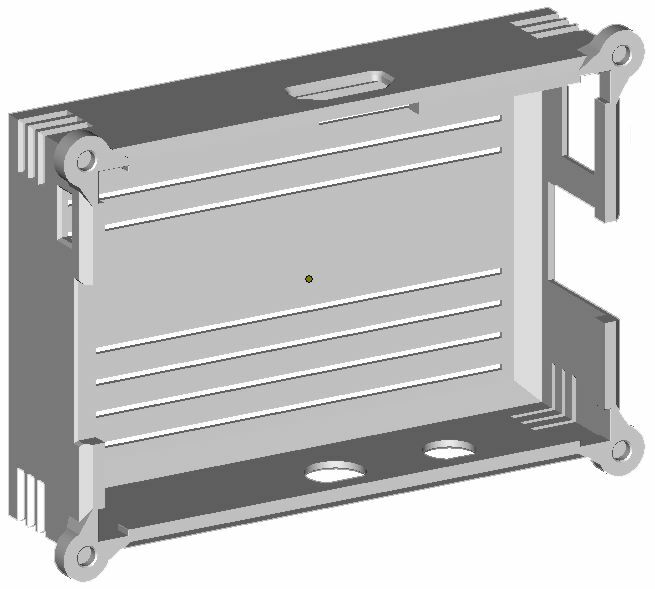 We take the bounding box dimensions, (100 x 70 x 26 mm) and multiply them together to work out the volume in cm3 (182 cm3). Next we take the cost per cm3 and multiple the two together to work out the cost. Awesome, now lets see how much our gears are going to cost. 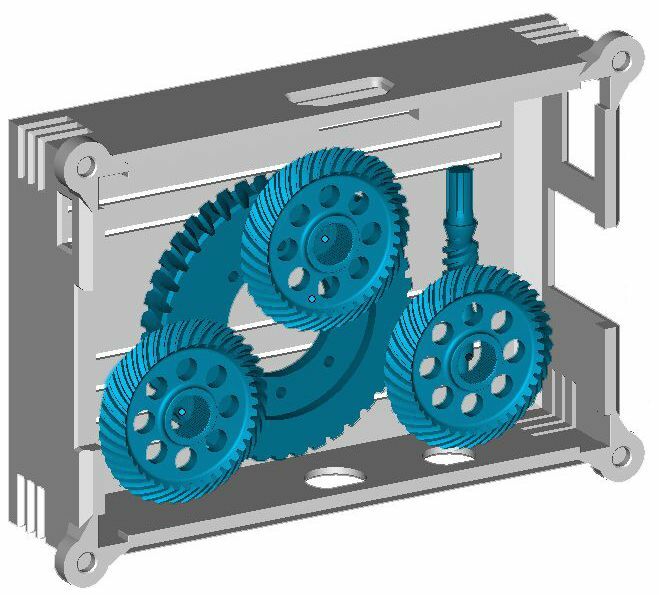 Printing this set of gears will cost $20.00 based on the size of their bounding box. So how can we reduce the cost? Easy, stick the gears inside the case and they become free! Great, I got that. What does it mean to me though? We have two pricing structures, Economy and Priority. Both come out of the same industrial machine, in the same strong & flexible Nylon material and with the same crisp quality. Ordering your model to be 3D printed with the Priority service gets your job pushed immediately to the front of the queue. While Economy will take a couple of days longer. Everything making sense? Fantastic. What's that? You have models ready to print, oh boy that is legendary. Want to know how many dollars its going to cost? That is easy to find out, we have free online quoting. Hey you have nothing to lose, lets see how much your wizbang invention is going to be.